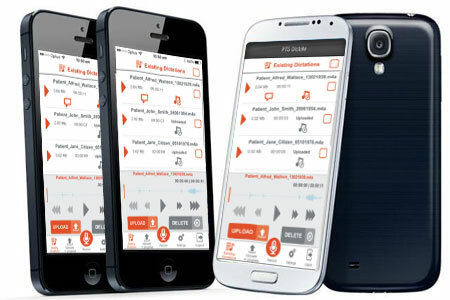 PTS has developed a freely available Dictation App 'PTS Dictate' for Apple IOS and Android devices, which will allow clients to seamlessly dictate and securely upload their dictations to our website via a 3G/4G or WIFI internet connection. It is available to download now on the Google Play App store as well as the Apple ITUNES App store. Download it now and call us to get started! Auto-saves your audio files so that you will never lose your dictations due to unforseen circumstances such as hardware failure, low memory, low battery, low storage space etc.